Bear on a log | Yellowstone | Oh, Ranger! 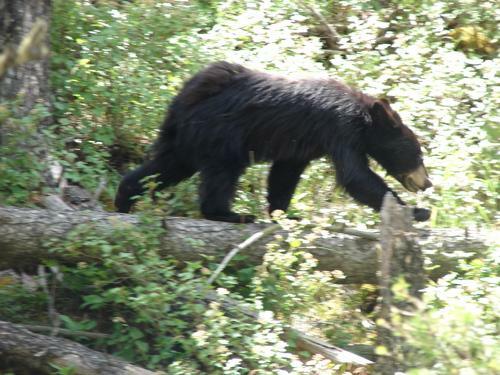 This bear ran in front of my car in Yellowstone, then did the balance beam thing on a log! Submitted by PresentFeelings on August 2, 2010 - 5:13pm.